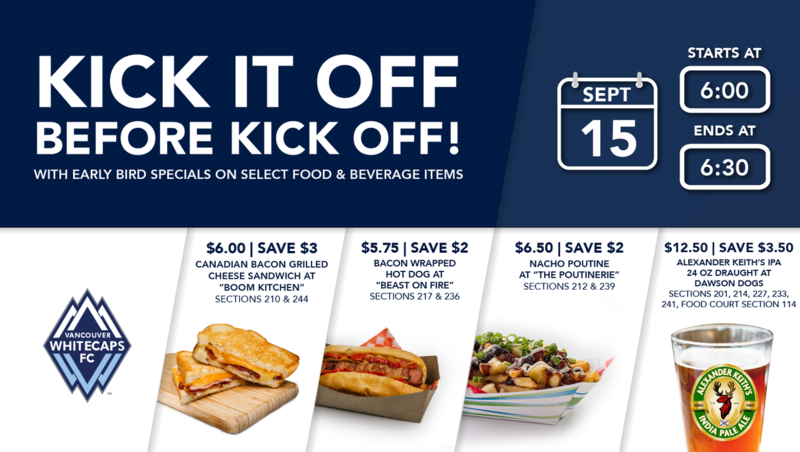 Join us for "the biggest game of the year" as Vancouver Whitecaps FC face Seattle Sounders FC this Saturday, September 15th at 7:00PM! 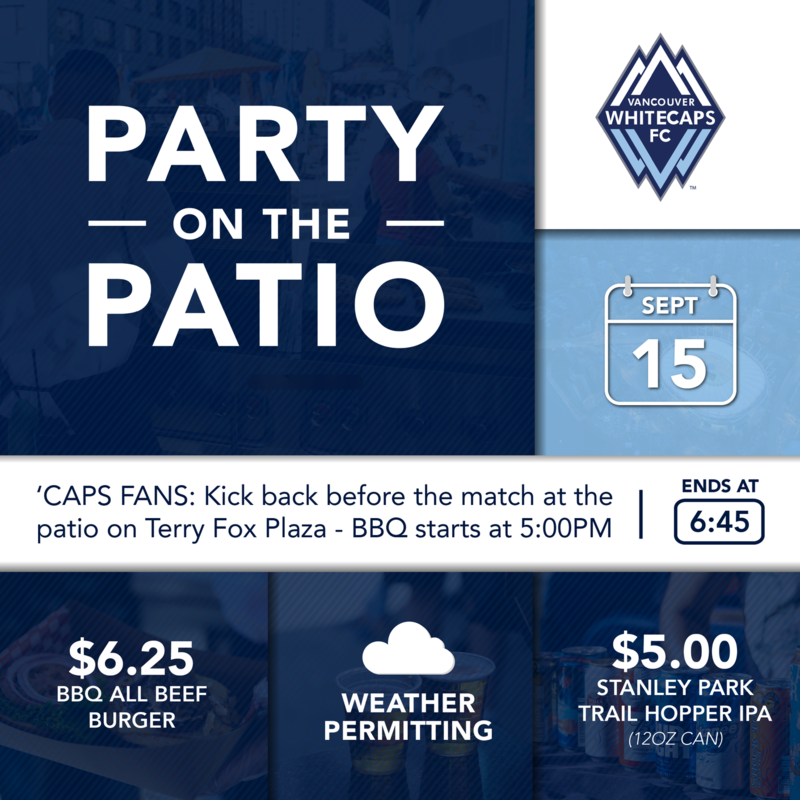 The ‘Caps kick off the party with their famous "Party on the Patio" starting at 5:00PM. $3 OFF CANADIAN BACON GRILLED CHEESE SANDWICH! Canadian back bacon, smoke cheddar, aged cheddar, provolone, French loaf.